Ever wondered where Scottish Distilleries get all their barrels? Scotch Whisky is also matured in sherry casks, as years ago these were plentiful as sherry was shipped to the UK in barrels and bottled here, but now sherry producers mature their sherry and bottle it at source. 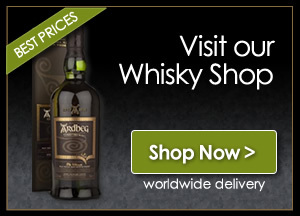 The outcome is that these casks are harder to obtain and so demand a much higher price than Bourbon casks. Distilling giants have recently put huge resources into their wood management, where a few of them now own forests in America and employ Wood Managers to ensure the quality and quantity of casks are in a volume that meets each of their distilleries needs. American white oak, Quercus alba, mainly sweet and fragrant aromas, including vanilla, coconut and citrus notes. European oak, Quercus robur, toffee and spice and these can be quite intense. American oak being more dense, can be sawn instead of hand-split. This involves less labour and expense. 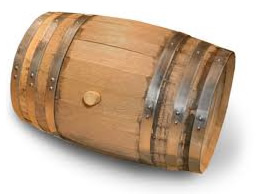 Hence American oak barrels are considerably cheaper than their European counterparts. Late in the 1990’s wood finishes were being experimented with. In the last fifteen years or so there has been a mini explosion of different finishes. Master Distillers will take fully matured Single Malts and transfer the contents into a barrel that has previously held a different type or style of Alcohol, popular choices for the distillers are; ex sherry, port, rum, red and white wine barrels and this list is not exhausted. These finishes gave the Whisky lover more aromas, flavours and colour of their chosen dram. 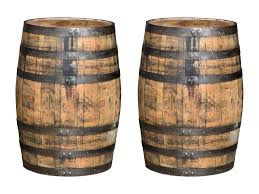 Every barrel is in unique, if you take sister barrels using the same wood and built by the same cooper and you then fill with new make spirit from the same distillation run, mature for an agreed period, when the master distiller comes to sample both casks the, now Whisky, will have different aromas and flavours than each other. Anyone who has taken a distillery tour is usually advised that there are only three ingredients in Whisky, water, malted barley and yeast. This statement is correct there are only three ingredients, but, you must look at the full picture – the skill of the coppersmith that build the fantastic stills, the construction of the wash backs and the mash tuns and finally the coopers and wood managers who have the increasing responsibility of building and selecting the right wood or barrels for their spirit to be put into. It may only take a few days to produce the new make spirit that one day will become a fine Whisky, But, it is the duty of the barrel to securely hold it’s charge, impart colour and flavours that sometime in the future (maybe 3, maybe 30 years) will delight the nose and palate of Whisky lover. So, remember, Whisky – It’s all in the wood.